Employment News epaper FREE PDF Download – Get Employment News Paper 2017 Pdf DownloadThis Week Rojgar Samachar Govt Jobs Employment News, Employment Notice, Latest Recruitment updates latest jobs. Jobs are most important today to earn a livelihood and to sustain ourselves. 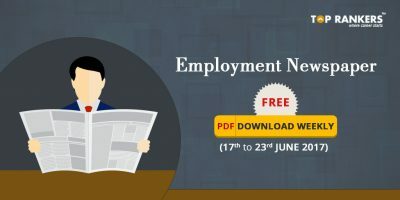 Employment Newspaper Free PDF Download Employment Newspaper is a primary platform for those who are searching for jobs. The Employment Newspaper has several advertisements regarding jobs across the country and covers a lot of public sector and private sector jobs. 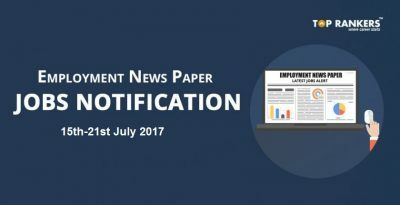 TopRankers presents Employment Newspaper Free PDF download to stay ahead of the job search and to secure a good job. Employment Newspaper is a weekly newspaper that gives latest updates to all readers about government and private sector jobs. It is available in both English and Hindi. 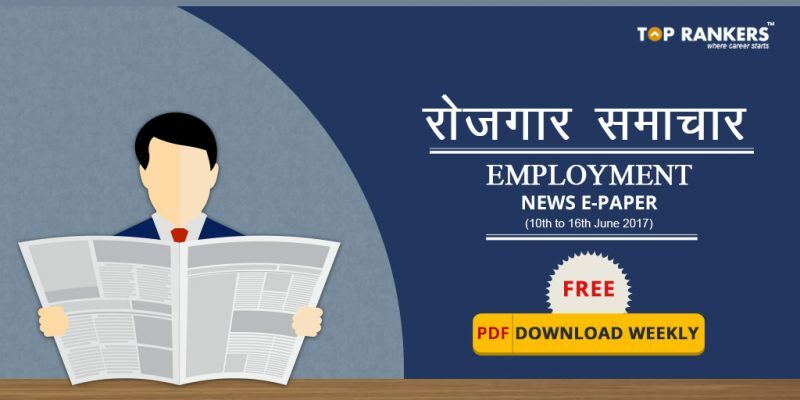 The Hindi edition of the employment Newspaper is available as Rozgar Samachar. Readers of Employment Newspaper will get updates about the latest government and private sector jobs across India. The Employment newspaper has advertisements about jobs for Freshers and experienced candidates. Students too can apply for these jobs, some of the jobs are contractual. The employment news has all job related jobs like registration dates, eligibility, selection process and application details. One can apply for these posts online or through the mode of application mentioned in the employment news. Various PSU’s regularly advertise for government jobs in employment newspaper as well as on Rozgar Samachar. Candidates can read the employment news in both Hindi and English. There are several news in Employment news weekly PDF. One can get news about Jobs, news and articles related on education, career guidance, counseling sessions for various jobs, recruitment procedure, recent job schemes and job alerts. You can download the Employment Newspaper PDF to stay updates on various employment news on Banking jobs, Railway jobs, SSC, PSU’s , PSC, Police jobs, Defense jobs, State wise jobs, jobs according to qualification, employment notification for Maharatna and Navratna companies. Success Stories: It features achievements, biographies, interviews of successful people with great careers. It also has expert opinion on jobs and careers, successful startups and successful entrepreneurs, etc. Special stories feature articles on interviews, Point of view, editorial, Columns, debates, Joint ventures, M&A, Acquisitions, etc are given here. 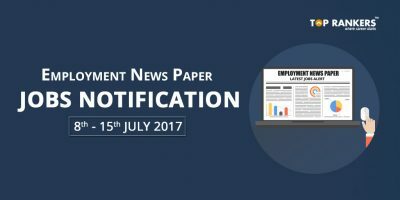 Stay tuned on more updates on Employment News epaper weekly updates!